The Mere Golf Resort & Spa UpLighting. The Mere Golf Resort & Spa UpLighting, Drapes and Backdrops are services we can provide. The Mere Golf Resort & Spa has 3 suites available for your wedding or event. The James Braid suite, Mere Suite and George Duncan suite, all with bar facilities and privacy. 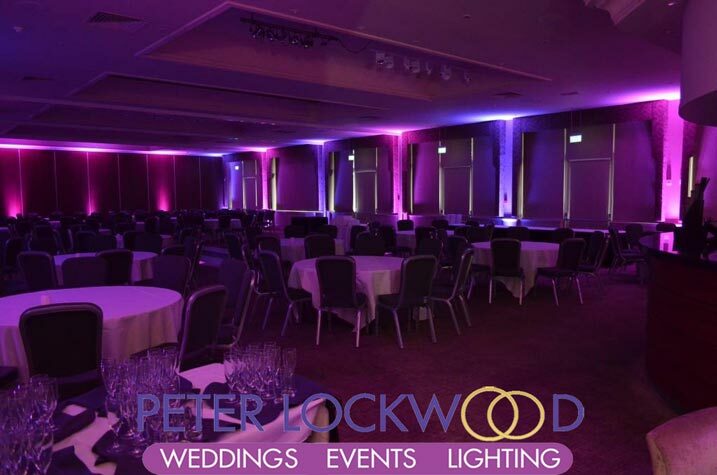 I provided alternate pink and purple lighting for a product launch in the lovely Mere Suite. 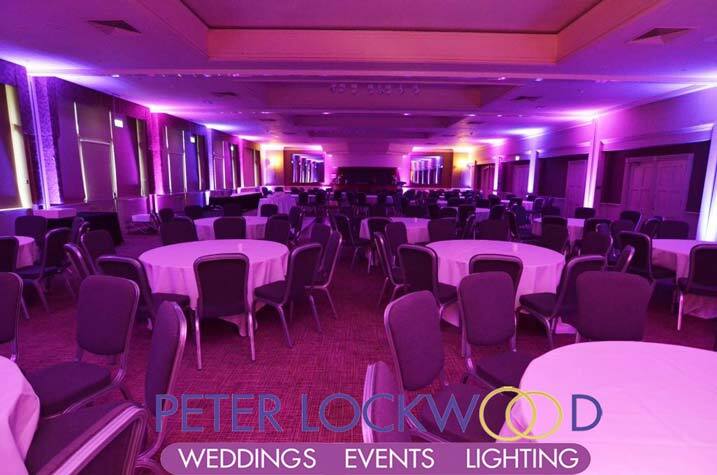 I can provide a fully managed lighting service in the The Mere Golf. Let me bring your ideas alive!